It's easier than ever to save cash with Victoria Falls vacation packages on Expedia. You'll have heaps more time to plan the exciting stuff — and more cash to splash! Savings of as much as C$590* are available to smart vacationers who secure a package deal on Expedia. With more than 400 partner airlines and 321,000 properties worldwide available on our expansive database, you'll be jetting off on your next vacation in no time! If you have to change your vacation plans, we'll honor your cancellation request on almost all bookings with no added fees. There are heaps of fantastic things you can do when you visit a new place. So why not get your trip to Victoria Falls off to the perfect start by having a look at some of our top tips? After all – out there starts here! What about some bungee jumping? It's one of the best things to do in the wider region and a fantastic excuse to get outdoors. Still have some time to spare? The good times don't need to stop there. Consider going abseiling as well. 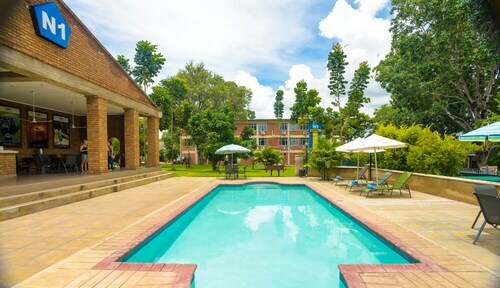 Even though Expedia doesn't feature any properties in Victoria Falls, it does have some listings in Livingstone, which is situated 12 miles (19 km) away. The Victoria Falls Safari Suites (Squire Cummings Ave) and the Royal Livingstone Victoria Falls Zambia Hotel by Anantara (Mosi-oa-Tunya Road) are two of the more high-end options here. If you are on the lookout for something a bit more economical, the Victoria Falls Restcamp and Lodges (Parkway Drive) and The N1 Hotel & Campsite Victoria Falls (266 Adam Stander Drive) are also recommended. Located 13 miles (21 km) away, Livingstone Airport (LVI) is the most convenient terminal to your destination. Check that your seat belt is buckled and switch off that in-flight movie — your exciting trip to Victoria Falls is just about to begin! 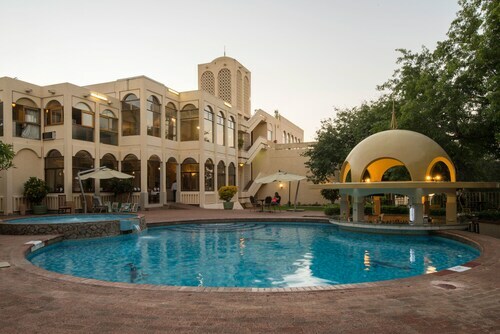 This family-friendly Victoria Falls hotel is located near the airport, within 1 mi (2 km) of Victoria Falls and Victoria Falls National Park. Devil's Pool and Victoria Falls Bridge are also within 2 mi (3 km). 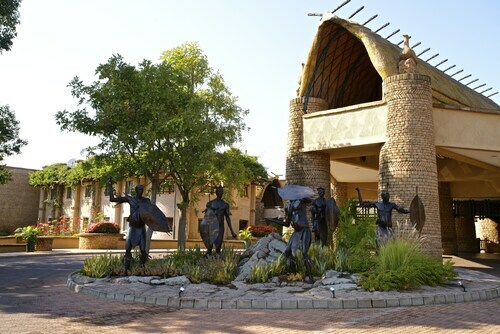 This family-friendly Victoria Falls hotel is located near the airport, within a 10-minute walk of Victoria Falls National Park and Victoria Falls. Devil's Pool and Victoria Falls Bridge are also within 2 mi (3 km). This family-friendly Victoria Falls resort is located on a river, within 3 mi (5 km) of Zambezi National Park and Victoria Falls. Victoria Falls National Park is 2 mi (3.2 km) away. 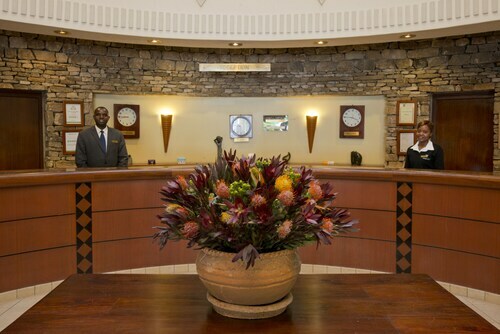 Located in the heart of Victoria Falls, this hotel is 0.1 mi (0.1 km) from Victoria Falls National Park and 1.4 mi (2.3 km) from Victoria Falls. Victoria Falls Bridge and Devil's Pool are also within 3 mi (5 km). 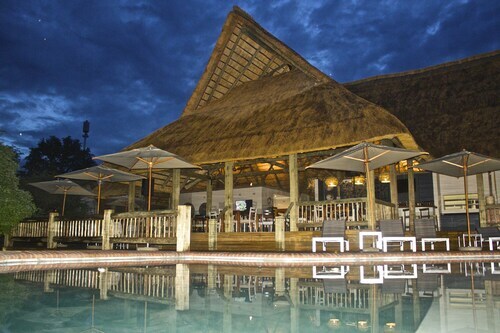 This family-friendly Victoria Falls lodge is located in a rural location, within 3 mi (5 km) of Victoria Falls National Park and Victoria Falls. Devil's Pool and Victoria Falls Field Museum are also within 6 mi (10 km). 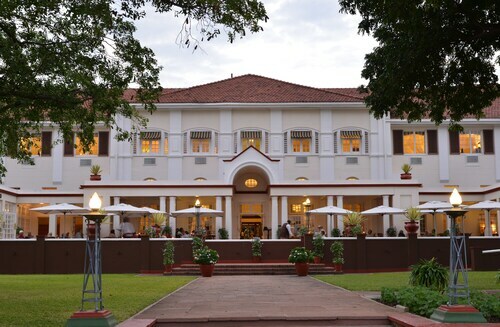 Situated in Victoria Falls, this hotel is within a 10-minute walk of Victoria Falls National Park and Victoria Falls. Victoria Falls Bridge and Devil's Pool are also within 2 mi (3 km). 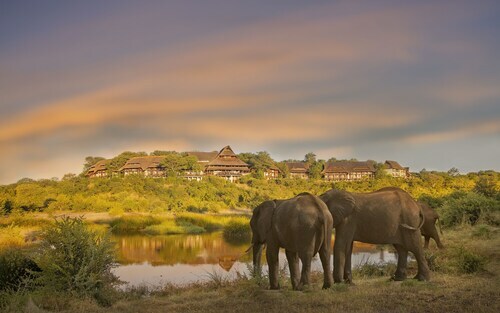 Situated in Victoria Falls, this lodge is within 1 mi (2 km) of Victoria Falls National Park and Victoria Falls. Devil's Pool and Victoria Falls Bridge are also within 2 mi (3 km). Situated in the suburbs, this lodge is 1.4 mi (2.3 km) from Victoria Falls National Park and 2.3 mi (3.7 km) from Victoria Falls. Zambezi National Park and Victoria Falls Bridge are also within 3 mi (5 km).